In order to avoid damage to your KM9AUSB board there are certain precautions you MUST observe. Your KM9AUSB has electrical contacts on both sides, you must ensure that no part of your KeyMaker USB board comes into contact with any conductive surfaces such as bare metal or bare wires. You should place down a piece of paper and place your KM9AUSB board on top of it in order to avoid any electrical contact which may damage your KeyMaker. There is no danger of receiving an electrical shock from your KM9AUSB as the highest voltage anywhere on the board is 5 Volts which is a safe voltage to touch. If you like you can place your KM9AUSB board inside a plastic bag during use, the board does not get warm at all, so there is no issue with ventilation. The same precautions apply to your ThinkPad when you are performing any operation and your ThinkPad is switched on, you must ensure that nothing can short out by coming into contact with other parts, you can use sheets of plastic or plain paper to make sure things remain electrically isolated. The 4 leads from the KM9AUSB I2C connector are VCC, GND, SCL and SDA. GND is connected back to GND on your mini USB connector and onto your PC or laptop. VCC is connected to the 5V DC supply from your USB connection, it then passes through a self resting Pico fuse, so it is well protected should you accidentally short it out, in 99% of use we do not use the VCC lead anyway. You do need to take care with the SDA and SCL leads as they are NOT protected. If you are careful and NEVER connect SDA or SCL to anything other than the SDA and SCL pins of an EEPROM no damage will ever occur. However if you accidentally make a mistake and connect either SDA or SCL to GND or VCC on your KeyMaker Board or inside your ThinkPad you will damage the KeyMaker USB SDA and or SCL I/O pins. 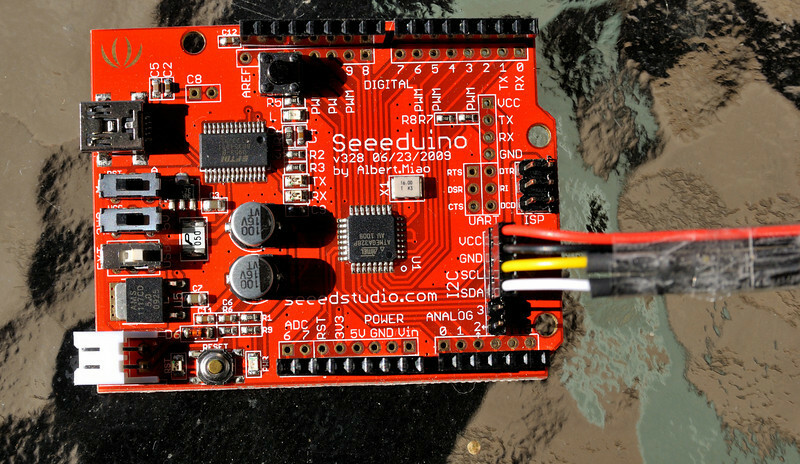 The reason is that the SDA and SCL I/O pins connect directly to pins on the Microprocessor on your KeyMaker USB. The SDA and SCL I/O pins MAXIMUM DC Current from either the SDA or SCL pin is 40 mA, that is 40 thousands of an Ampere, a VERY small amount of current. If you exceed 40 mA you will damage the I/O pin and your KeyMaker will not function. You will exceed 40 mA if you directly connect SDA or SCL to either GND or VCC anywhere on your KeyMaker USB board or inside your ThinkPad. Therefore you must double check that you do indeed have the correct lead and you are about to connect it to the correct point BEFORE you actually connect it. If you want the luxury of being careless, make serious mistakes connecting to an EEPROM and not cause damage, there is a way you can protect your SDA and SCL I/O pins so that they cannot be damaged even if you accidentally connect either to VCC or GND. 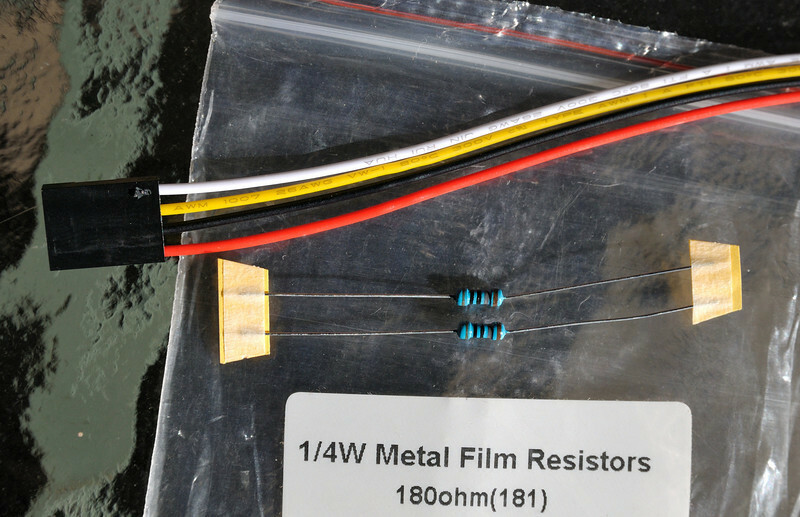 The protection consists of 2 x 180 Ohm resistors. Very inexpensive insurance. One 180 Ohm resistor is connected in series with the SDA lead. 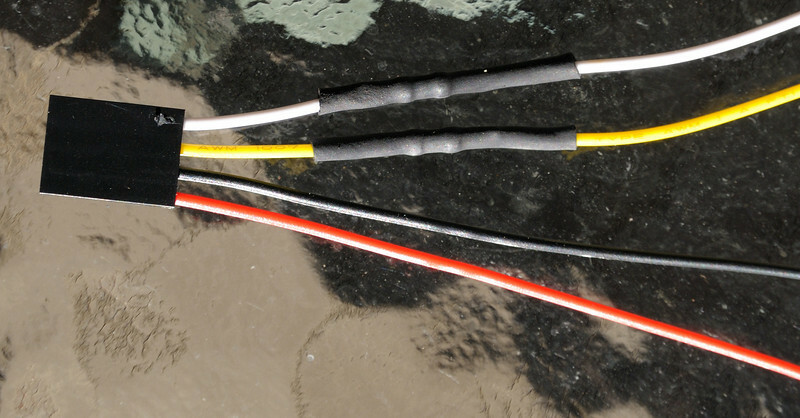 Another 180 Ohm resistor is connected in series with the SCL lead.